Picture of the Dain School class. 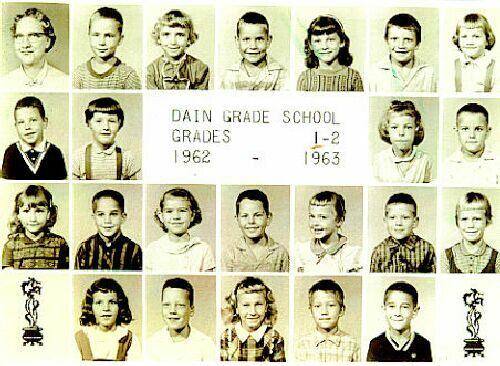 Grade 1 - 2 1962 - 1963. Hi, My name is Sally Tharp Mullens. I went to school at Dain from the 1st - 4th grades. Then the school shut down and some of us went to Milltown and others went to Tannery School. Mrs. Dietz was our teacher. I know some of the kids names.